Yesterday I registered a free account and installed WP on it and I started building the site. It was working fine at the beginning but a bit slow. I thought it was to do with the fact that the account was free. After a while, the website stopped working. Even inside WP the pages were not showing all the time. If you login to 000webhost.com then hit Manage Database, Manage on your database and phpMyAdmin. If that opens without issue it will be something else, if it shows an error like timeout or requests then it’ll be rate limiting. I can access PHPMyAdmin fine. My usage was not high as far as I can tell. Unless I am looking at the wrong thing. 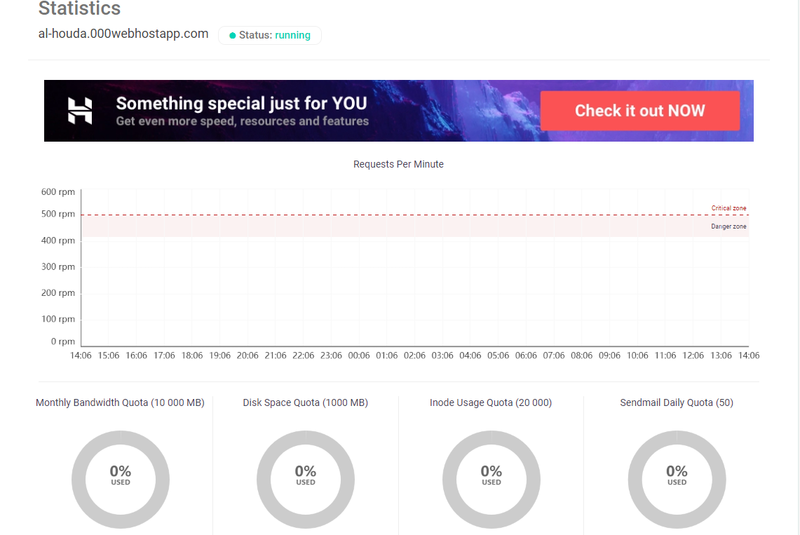 Yeah that page isn’t much help for rate limiting, it is every movement made on WP/WP-admin is counted as a request of the database and will cause issues. So 100% you can login to phpMyAdmin and browse tables without issue? I accessed wp-options table and noticed there was capitals in your URL.